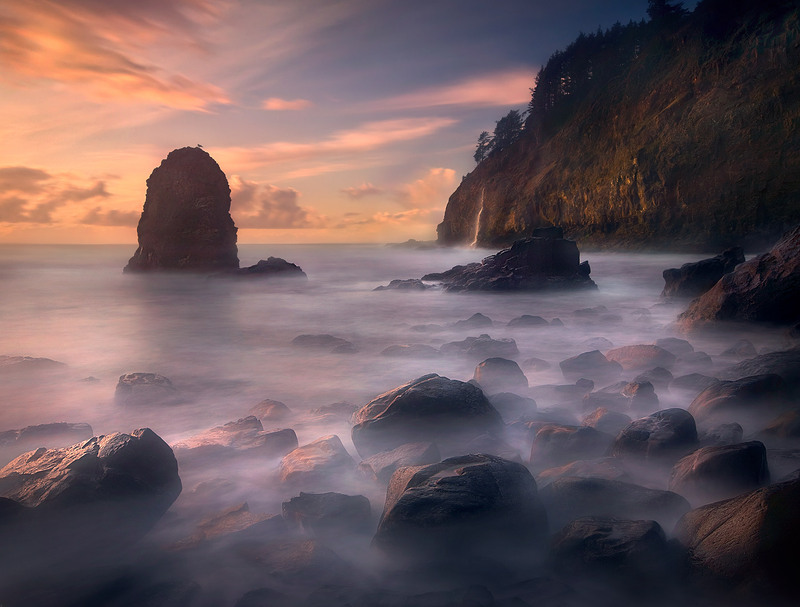 Long exposure turns Pacific waters to mist at sunset on Oregon's Coast. A waterfall pours off the cape in the background. Photo © copyright by Marc Adamus.